At SoftBank Robotics America (SBRA) we build robots, but our biggest strength is our people. Through the Behind The Robots series we hope to showcase the passion and drive of SBRA employees from a wide variety of backgrounds, geographies, and skill sets, who have come together to make Pepper a uniquely human humanoid. Today, we’ve interviewed Ritika Chatterjee, an Investigation Engineer at SoftBank Robotics. Ritika is responsible for repairing NAO and Pepper robots after they get injured in the field. 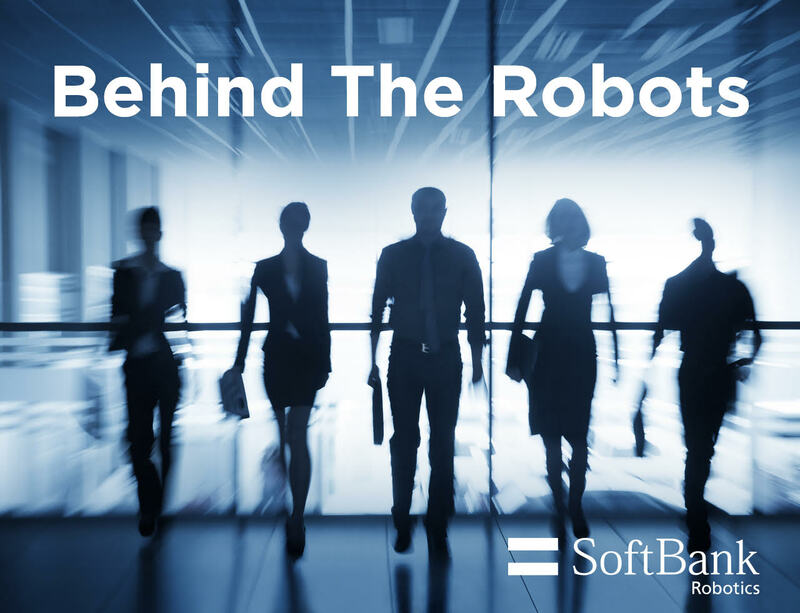 SBRA: What is your role at SoftBank Robotics? Ritika: I work out of the Boston office, which is HQ for the fleet center at SoftBank Robotics. My title, “investigation engineer,” is pretty interesting in the sense that my role is about observing what issues Pepper faces in the real world, so we can continue to improve how Pepper performs. SBRA: How did you end up in this role? Ritika: I think, overall, my dad was instrumental in helping me find my direction; he’s a doctor, but he always thinks like an engineer. After school, I was looking for a good opportunity to be exposed to how a company works in the US, so I started at SoftBank as an intern between semesters. My concentration in school was software engineering, but as I was looking at internships through the job portal, I started getting excited about robotics. I had four years of electronic engineering, in school, so I worked with microcontrollers, which are the building blocks of a robotic system. I took the job at SoftBank so I could see if robotics interested me, and I found out that it did. Once I got here, I was happy to learn how fantastic the team was. We’re close knit and the culture is very cohesive, so there are a lot of opportunities to learn. Ritika: It is a pretty unique job. My job is literally to investigate issues that occur in the real world, so we can understand and resolve them at a product or education level. If you have robots in an environment with weather, children, and other environmental hazards, they will behave differently than they do in an ideal, controlled environment. So, I look at what conditions cause particular issues, and recommend solutions, which could be a mix of hardware, software, and training. My ultimate goal is to resolve issues for the broader user base, so I am always looking to see the pattern and why it occurs. For example, if we find out that a recurrent failure is due to misuse, we can work to educate customers better on how Pepper should be used. SBRA: What tasks or activities most commonly cause issues with Pepper? Ritika: Customers are so excited to see Pepper that they get very hands-on. You’d be surprised how many people load weird costumes on Pepper, climb on Pepper, hit Pepper’s tablet, and just generate a lot of excitement. And Pepper is a little bit shy, so sometimes that can cause issues when you have an environment with a lot of people that are physical with her. As we see what Pepper faces out in the market, we can come up with new solutions for how Pepper can deal with such things. It’s great to see the customers’ enthusiasm in real life, and on our end, the job is about adapting the robot to stand up to these high-energy interactions. SBRA: Which robot do you like the best? Pepper or Nao? Ritika: Pepper and Nao have very different personalities, but what they have in common is that they are both so engaging. I think they both have been really effective in putting SoftBank on the map. Nao is very cool because he can move. For example, at Robocup, it was amazing to watch Nao play soccer with really good accuracy at tracking the ball and location awareness. SBRA: What do you think robots like Nao and Pepper do to better the world? Ritika: I’m passionate about healthcare because my parents are doctors, so seeing how Pepper can help in the healthcare industry has been very rewarding. But I think there is an even broader opportunity for robots to change the way people in every field manage their work, and their lives. Before working at SoftBank, I would have imagined that you need some level of familiarity with robots to not be scared of them, but the reality is that robots fill people with a giant sense of wonder. I was surprised at first by how warmly non-technical people welcome Pepper, but it is always great to see. SBRA: What makes you excited to work at SoftBank Robotics? Ritika: I love the fact that there’s so much to learn and that the culture is so transparent. I love getting to be part of a global organization, while getting the culture of a small startup. We’ve done a good job of creating a culture where there is no segregation. We all love to talk tech, and we’re all very supportive of each other. It’s great to be part of a global organization. It’s really cool to get to talk to the teams in Japan, Paris, and San Francisco. Each team is so excited to showcase the work they do and it is a privilege as an investigation engineer to talk to multiple teams and see all of the passion. SBRA: What advice do you have for new grads looking to get into robotics? Ritika: If you want to make an impact in this field, there is opportunity. You just need to jump in and get your hands dirty. There really is no other way. Just keep your eyes open, because it’s there, it’s all around us. It’s all over the place. You just have to be interested in it, and be curious. Once you’re curious, you’re in excellent shape to discover everything you want to know about it.